Legal experts say a post at CSAT is not financially rewarding but is considered prestigious professionally because the selection is so rigorous. New Delhi: Justice A.K. Sikri asked the Centre Sunday evening to withdraw his nomination to the Commonwealth Secretariat Arbitral Tribunal (CSAT) in London. 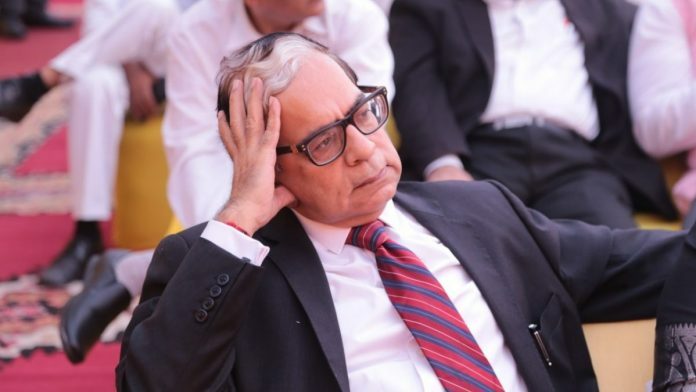 Sikri said he was “pained” by the insinuation that he voted to dismiss Central Bureau of Investigation (CBI) director Alok Verma, last week, in what was a deciding vote, because the Modi government had nominated him for this plum assignment. ThePrint takes a look at what the tribunal is and what the nature of the assignment is for a nominee. CSAT was created to hear cases that exclusively concern the Secretariat, the intergovernmental agency of Commonwealth nations, and its members. It was established to meet the requirements of the Agreed Memorandum on the Commonwealth Secretariat (1964) that was later revised in 2005 by member countries. The latter gave CSAT the same legal immunity as the Secretariat, making it independent of the British courts. Unlike the UN’s International Court of Justice (ICJ) which is empowered to hear diplomatic or criminal disputes from around the world, CSAT only decides service disputes between employees of the Commonwealth Secretariat. The verdict by CSAT remains binding on both the parties — there can be no other court of appeal. The London-based CSAT comprises eight members, including its president. They are usually retired judges from their respective countries. They are selected on the basis of nominations by their respective governments. The selection process is complex and rigorous, hence, selection to this tribunal is considered highly prestigious. Some of the prominent former Indian members of CSAT include Justices Usha Mehra and Hosbet Suresh. A CSAT member enjoys a tenure of four years with the option of extending it for one more year. However, the post does not offer a monthly or yearly remuneration. Members are required to travel to London only once or twice a year to hear cases. Travelling expenses are paid for but not accommodation. Compared to CSAT, judges at the ICJ receive an annual minimum salary of $172, 978, with a special supplementary allowance of $15,000 for the president. Judges at ICJ receive an annual pension which, after a nine-year term, is equal to half the annual base salary, which is the basic. According to legal experts, a post at CSAT is not financially rewarding, but professionally it is considered prestigious because the selection is so rigorous. Besides, it exposes judges to international arbitration, although only on matters related to the Commonwealth Secretariat and not larger global issues. India’s Ministry of Law and Justice is now in the process of finding a new nominee. Once decided, the nomination will be forwarded to the Ministry of External Affairs to be given to Commonwealth Secretariat for their consideration.